Tamasin Ramsay is a Melbourne native whose life has seen her range from performer to paramedic to medical anthropologist. The daughter of actor Robin Ramsay and actress/writer Barbara Ramsay, she started acting as a child working on the ABC-TV series The Truckies and the film Dimboola. At 17, she was cast in the television series Possession, as well as roles in Neighbours, Blue Heelers, the film Queen of the Damned, a site-specific adaptation of The Great Gatsby at Rippon Lea amongst others. Between jobs, she spent much of her early childhood living outside of Bega, NSW and was brought up in South Melbourne from the age of 7. She has lived and worked in St. Kilda and Albert Park since then. During the 1990s, Tamasin left performing and became a qualified ambulance paramedic and was awarded a number of commendations during her paramedic career. While continuing in the emergency services, she attended graduate school at Melbourne University and in 2009 was awarded a PhD for studies in anthropology and health at Monash University on the basis of her in-depth ethnographic study of the Brahma Kumaris “Custodians of Purity”. Between 2010 and 2014 she worked as an NGO Representative to the United Nations for the Kumaris World Spiritual University focussing on climate change, sustainability and the environment.. After her experience representing civil society at the UN, Tamasin became active in the animal rights movement and is currently a candidate for the Animal Justice Party running in the seat of Albert Park in Victoria’s forthcoming state election. 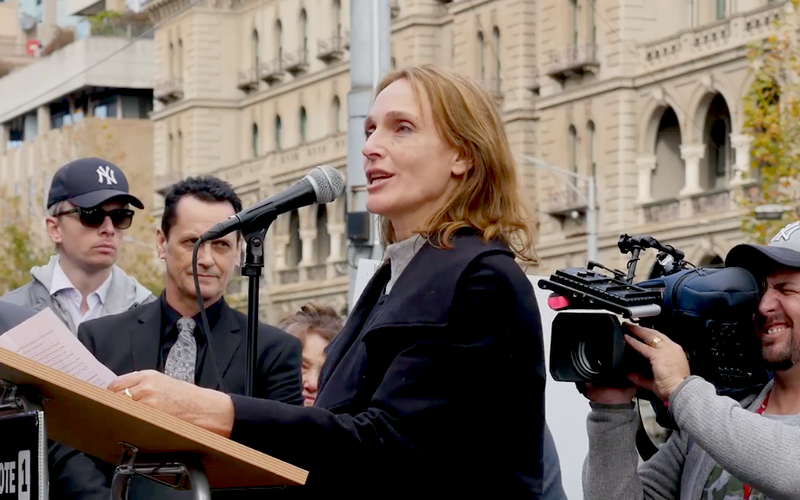 She will campaign to establish an Independent Office of Animal Welfare, to encourage wetland tourism while ceasing recreational hunting such as duck shooting, ending Live Export and to protect natural habitats in urban areas. 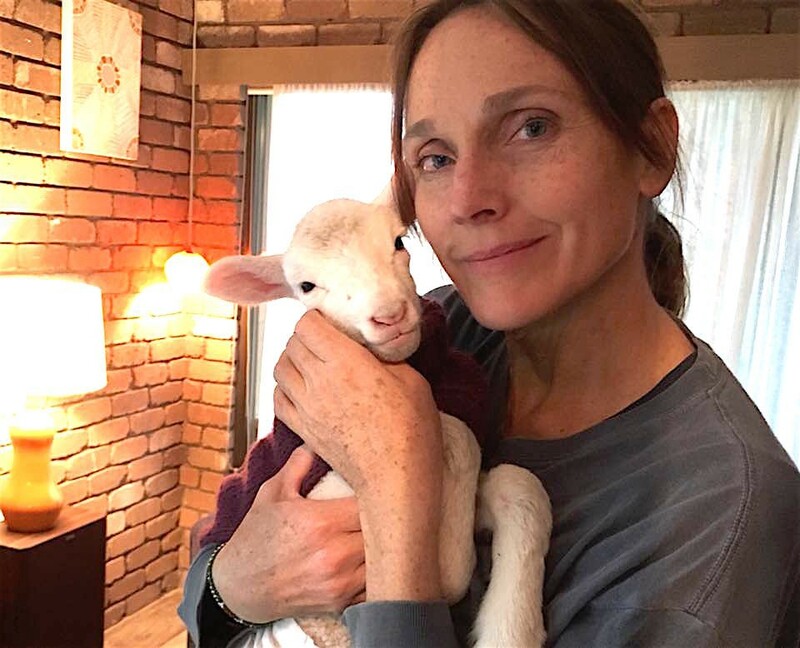 Tamasin is also one of the executive producers of Dominion — a controversial documentary exposing the dark underbelly of modern animal agriculture. Who are some of the people who inspired you to get started in your field? Strangely enough, it was Dadi Kumarka, an Indian yogini from the Brahma Kumaris. She was like a grandmother and I knew her from the age of 18. Her persistent love and faith in others, regardless of what she came up against, made me want to advocate in the same way for others. In our world we have a blind spot when it comes to other species. So I am advocating for them by following her example the best I can. Today, in the field of animal rights, my peers are the ones who truly inspire me. What have thus far been some of the negatives of your role in your field? The defensiveness to compassion is what troubles me. I understand it, as humans are complex and we are quite ego-driven. Meaning if someone points out to us that something we have been doing is hurtful to someone else, like eating meat, the reaction is not generally one of concern. It is typically one of defensiveness. Culture runs deep and people don’t like changing their habits. If I explain that harm is built into the business model of factories or farms, I am accused of pushing my beliefs onto others. Ironically, it’s the industry who pushes their beliefs onto society, by spending millions trying to convince people to eat meat. Never before have we eaten as we eat now, and it is making us sick and killing our ecosystems which are necessary for our survival. Corporations push their views onto society, and perpetuate myths such as “free range” “humane killing” etc. This is a constant negative. But I find if I look into the eyes of whoever I am speaking with, and connect with them at a deeper level, as a member of the bigger human family — then the defensiveness often falls away and we can have a conversation. What have thus far been the positives of the role in your work? Feeling like I am making a difference and bringing hope to the world. Fostering lambs, and seeing them grow into sheep, as opposed to the alternative. Seeing the huge numbers of people who attended the Live Export rallies around the country and how unequivocal people are feeling about it now. That is a big positive and meeting people from all over the world who are part of this change. Also, it’s not about left or right wing politics either. That’s a false division when it comes to deeper issues I feel. This movement is about kindness, and equality and embraces individuals from all political persuasions. What have been your favourite completed achievements to work on up to this point? My doctorate. When I was doing a graduate diploma somebody asked me if I was doing a PhD. I burst out laughing. I did extremely badly in high school and almost failed. But I managed to do it. I enrolled in a Graduate Diploma of Medical Anthropology at Melbourne Uni. It brought together everything I loved — science and humanity. I loved it! Finally I found myself in the PhD program at Monash! I was astonished because I hadn’t really planned it. All I had done was keep doing what I enjoyed. And that’s how I finally earned my doctorate and was wearing a funny hat, walking down a ramp and people are calling me “Doctor”. I just kept doing what I love. The achievements happened automatically. I am helping lead the Animal Justice Party’s National Health Campaign. Meat is a Class 2 carcinogen which is dangerous enough, but processed Meat is a Class 1 carcinogen. This is in the same category is arsenic, asbestos and tobacco. 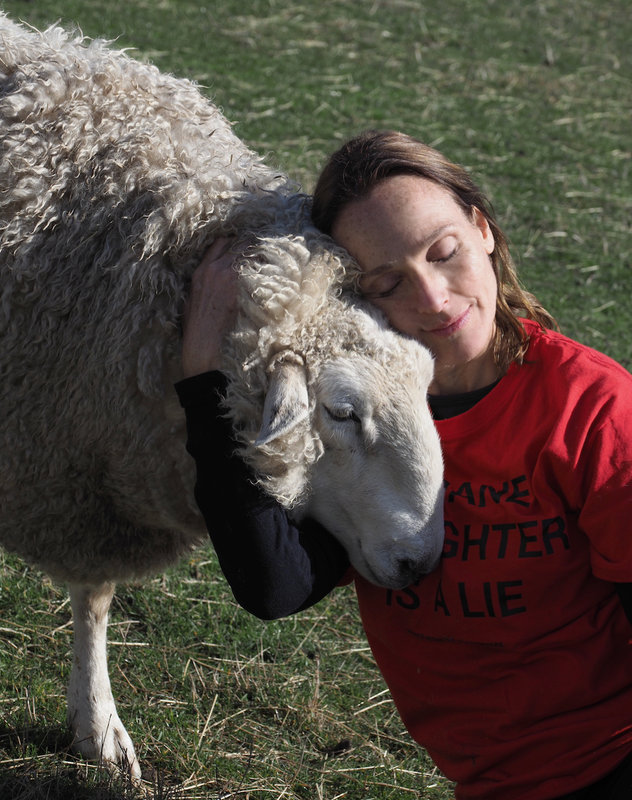 We are working with NGOs, doctors and those who have suffered the health impacts of meat. Our aim is to reduce the suffering and death (on both sides of the knife). This campaign prioritises the health of Australians. Like cigarettes, we are seeking plain packaging labelling, restrictions on selling it to people under 18, warnings on packets. I would also like to see a restriction on advertising and helping farmers transition from animal hurting industries to arable farming. If you couldn’t do this anymore, what career path do you think you would have followed? I may have stayed a paramedic. Or I may have stayed an actress. I still have a great love for both. But interestingly, there are parallels between those two and what I’m doing now. You have to apply your mind, respond spontaneously to different situations, while working with lots of different people on a crazy schedule, to bring ease and hope to others. My parents and I lived in a small one-room wooden hut on 315. We had a makeshift kitchen but no bathroom… we would just go in the bush . We showered on the verandah with an old camping shower, and heated our water in an iron earn. Our light was from kerosene lamps, and briefly we had a yellow kerosene fridge. We grew our own food and whatever else we needed we got from the local Co-op. I spent a lot of time in the bush discovering different plants and animals. This is where I discovered a deep love for the country and felt my place within it. I never felt the sense of human privilege. I think speciesism is the foundation of a lot of other injustices in the world: Racism, sexism, ableism, classism and other forms of oppression and exploitation all stem from an attitude that someone is ‘other’ to me. We tend to empathise with those who are like us, but we can become indifferent to those who are unlike us, whether that’s the colour of our skin or the species we belong to. I am in animal rights not because I don’t care about humans because I do. But I think sometimes we are a little simplistic in our thinking. We like to think we have the answers to all the problems. But everything we know think and feel is influenced by culture, tradition, meaning, philosophy, history, geography, biology. All of these feed into the way we look at the world. It is only relatively recently that we have stopped considering other species in our decision-making. By looking at things in isolation we keep making bad decisions that cause future generations to suffer. Look at the technology of plastic for instance. Without the restraint of wisdom, in a couple of generations we now have newborns being born with evidence of plastics in their blood. After the discovery of the germ and the onset of industrialisation we got excited and threw out all our ancient wisdom because of this new bit of understanding and technology we had. The aboriginals educated their younger generations about law and country. They had an inherent wisdom and balance. They knew everyone had their place. It didn’t mean everyone was in the same mob, but everyone was essentially free: human and non-human alike. We have to bring that wisdom into our contemporary world. It’s my interest in that that makes me do the work that I do.